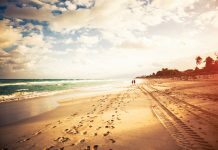 Looking for destinations that will help beat the heat? 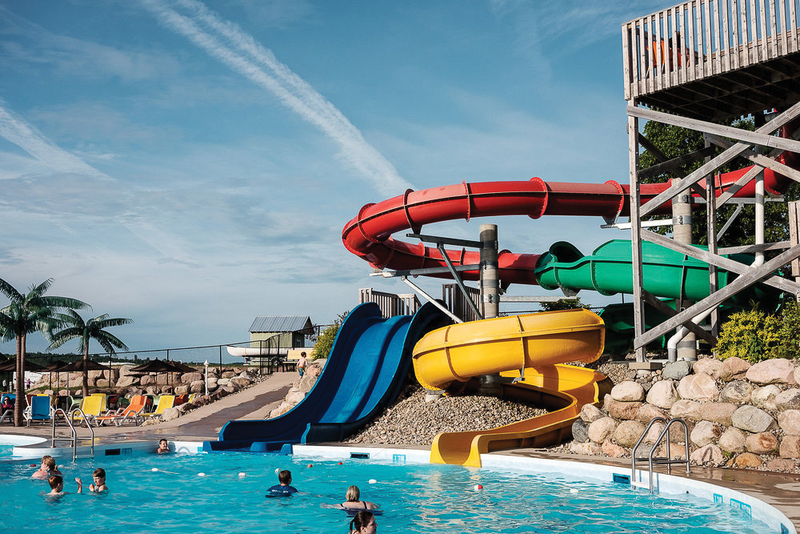 We’ve compiled a small list of some of the RV parks across the country that have water parks! Not just swimming in the nearby lake, but fully-fledged water features at your campsite. 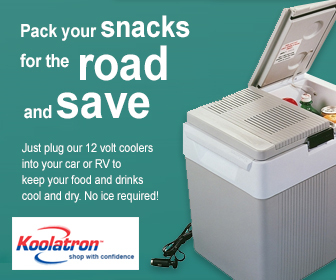 Any of these are perfect for families looking to cool down while on the RV roads to adventure. First opened in 1955, Cedar Park Resort is a family destination just north of Bowmanville. 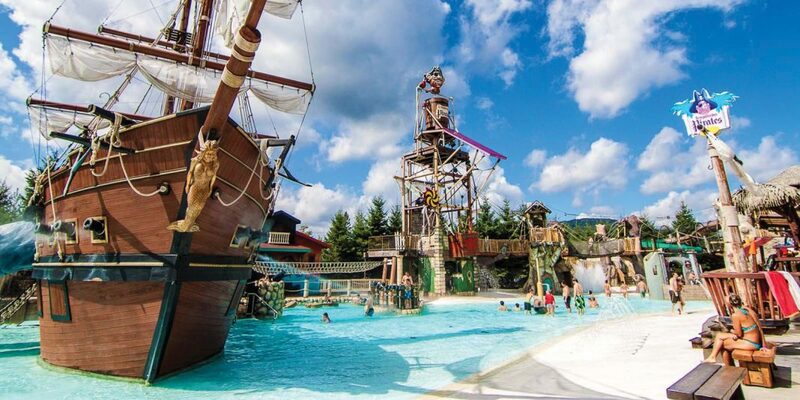 With a water park and three waterslides, there is something for everyone at Cedar Park Resort. In the waterpark you will find water jets, waterfalls and a giant bucket that gradually fills with water, tipping over and raining down on you when it fills. The water park also has three waterslides to thrill you. Looking to just swim and splash? 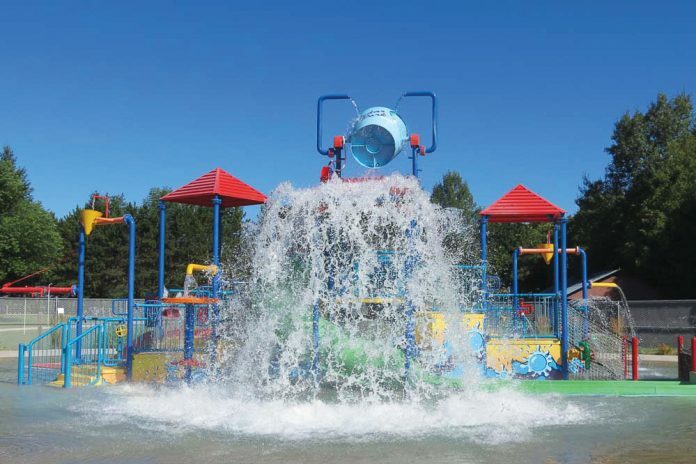 The park has three splash pads, wading pools and swimming pools for you. All of the features are supervised by certified lifeguards. There’s also a miniature golf course, tennis courts, playgrounds and picnic shelters. 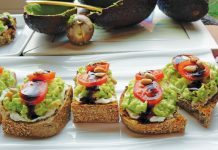 The rate is extremely reasonable, and it includes use of the large swimming pool and children’s water play areas. However, if you want to use the water slides, there is an additional fee. All sites have electricity, water and sewer hookups, there are also washrooms, showers and laundry facilities on site. The New Brunswick based Jellystone Park is located one hour west of Fredericton and is located close to the Province’s border with Maine. 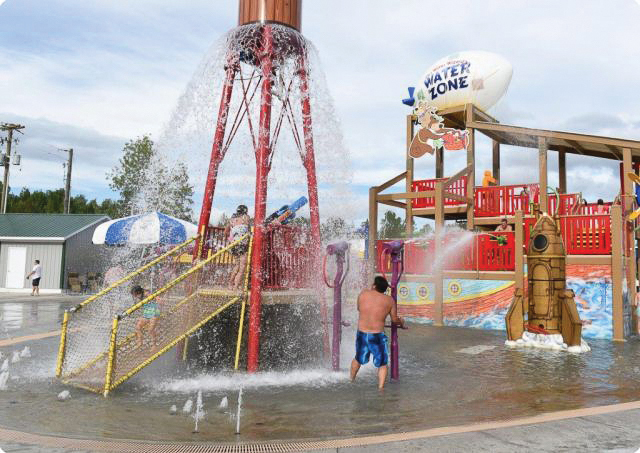 The campground boasts a multi-level interactive water feature called “Water Wizard’s Water Zone.” Featuring a heated swimming pool, children’s wading pool, a water-themed play place, a large tower that rains water down on those standing below it and two waterslides. The campground also has mini-golf, hay rides, a target tag game and more. Serviced and unserviced sites are available, with serviced costs starting at $64.50 while unserviced starts at $61.50. 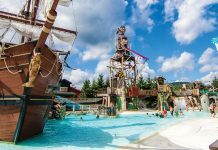 Camping rates include an all-inclusive bracelet which grants you unlimited use of the waterslides, multi-level water attraction, jumping pad and target tag game. Campers also use the pools and wading pool for free. Emerald Lake took their stunning lake, which boasts a depth of 15-40’, and turned this natural attraction into an extremely unique water park! The Emerald Lake Waterpark has a bunch of inflatable features right on the lake in what the campground calls the water-toy area. Features of the on-water-waterpark include trampolines, rock climbing wall, obstacle course and slides. They also have a high and low diving platform, where kids can run full speed and jump off a platform into the deep lake. 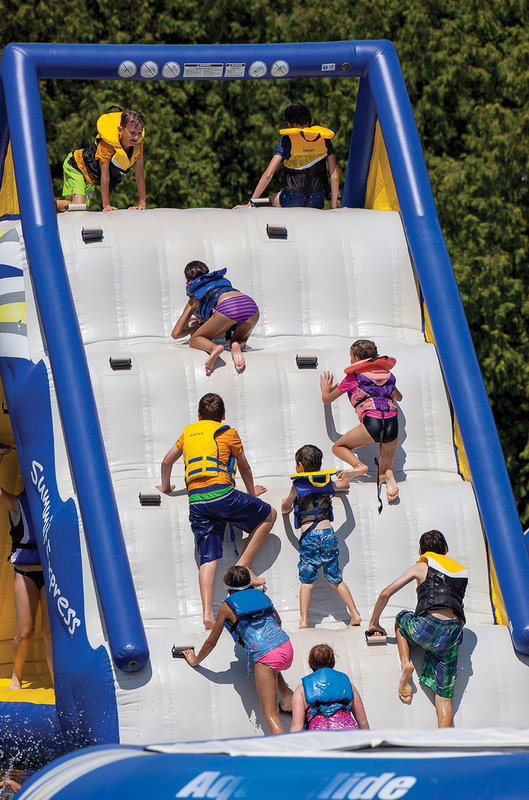 Life jackets are mandatory for all patrons of the inflatable water feature and can be rented from the campground. They also have traditional water features on land, such as a waterslide, splash pad, water guns, kiddie pool, sprinklers and more. Emerald lake has 200 sites, with water, sewer and hydro (30 and 50 amp) available at each site. Both seasonal and transient lots are available. 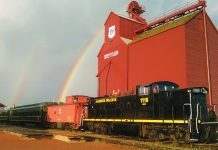 Celebrating its 60th anniversary in 2018, Lilac Resort is Manitoba’s premiere vacation destination! 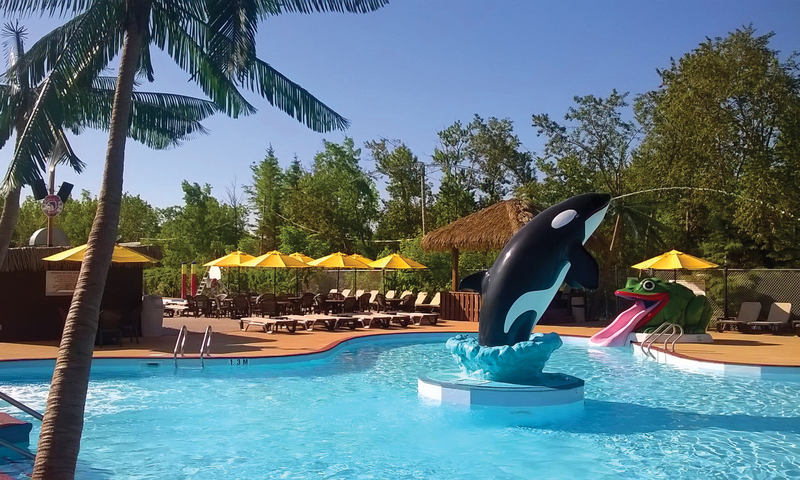 Lilac Resort, located in St. Anne, Manitoba, has a vast array of amenities, including a fully-fledged waterpark! With its faux palm trees surrounding the pool, tiki juice bar and crystal-clear water, you’ll swear you’re in a tropical destination instead of under an hour from Winnipeg. Lilac Resort features two pools, four hot tubs, one wading pool with a beach entrance and an assortment of waterslides. There are also many other attractions including beach volleyball, a baseball diamond, a fishing pond and paddle boats. This resort has something for everyone. If you arrive on the weekend, be sure to check out their live entertainment! 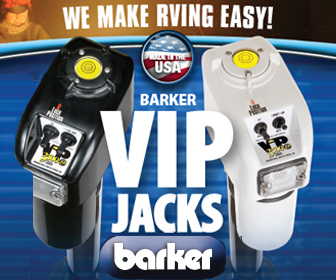 There’s an assortment of full/partial hookup and unserviced sites, so be sure to call ahead depending on your needs. Valcartier says they are home to the fastest accelerating slide in North America! According to the campground, riders of “Everest” can reach speeds close to 80 km/h! 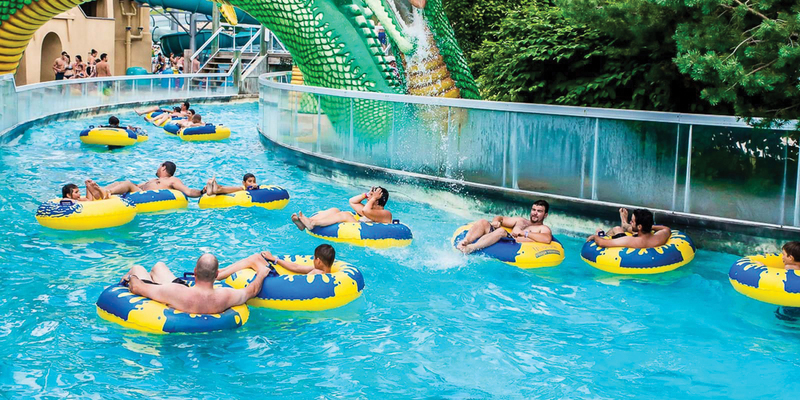 If you’re looking for something milder than riding “Everest,” Valcartier has more than 30 other water slides, over 100 water games and two themed rivers to float down. Have young children travelling with you? “La Ferme CocoRico” is designed for small children with a wading pool, mini-slides and water games! Head to the Pirates Hideout and find your sea legs by maneuvering through a pirate-themed obstacle course that’s fit for all ages! If you’re looking for something more relaxing, grab an inner tube and jump on to the “Amazon” river and let the current carry you through a dense tropical forest with plenty of surprises! 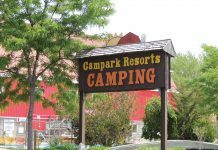 The campground is located a quick walk from the waterpark, close enough to be convenient but far away enough to be quiet for some serious relaxation. 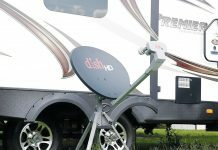 Valcartier offers fully serviced and partially serviced sites, with 30amp and 50amp hookup available. 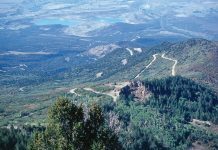 Camping rates start around $50.00. 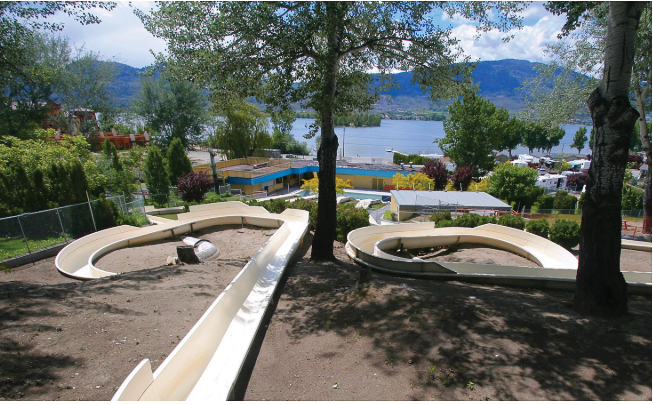 Located in the Okanagan Valley region of British Columbia, Osoyoos RV Campground is, as you would imagine, a series of waterslides with camping attached to it! With five slides of varying size and speed, there’s plenty to keep you occupied. Take a ride on the slides with the stunning backdrop that B.C. provides behind you! 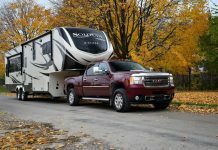 Osoyoos has a variety of sites with either 30, 20 or 15-amp hookup available, all RV sites have water and sewer hookup as well. Some of the sites back right on to the waterslides, while others are more private, further away from the slides for those who want a tad more privacy. 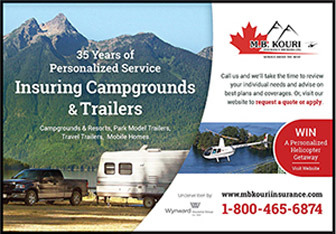 Be sure to call ahead to make sure they can accommodate you and your RV. 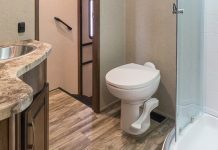 We think you might be hard pressed to find another place in Canada, perhaps even North America, where you can camp in your RV after riding a flume ride. 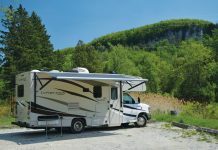 Located in Annapolis Royal, Nova Scotia, just two hours from Halifax, Upper Clements Parks is a fully-fledged theme park with RV camping on site. In addition to their flume ride, Upper Clements also features pedal boats, bumper boats, a wading pool and a waterslide. The park also has plenty of other non-water features if you’re looking for the full theme park experience, including a roller coaster, Ferris wheel, laser tag and a carousel. With unserviced sites, expect to pay in the area of $25 per night (for four people). 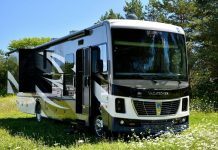 Space is limited, so be sure to call before arriving to ensure they accommodate your RV. Hartt Island RV resort and Water Park, located in Fredericton, New Brunswick, is fun for the whole family! The resort features a 4,000 sq.ft. heated leisure pool surrounded by deck chairs faux palm trees and three waterslides. Mom and Dad can lounge in the pool chairs while children burn off energy in the pool and on the waterslides. If you have small children with you, Hartt Island also has a “tot pool” with bubblers and a waterslide designed specifically for younger riders. 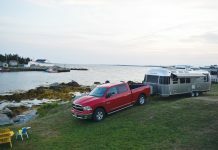 Hartt Island has a great selection of scenic, fully serviced (50 and 30amp) sites. 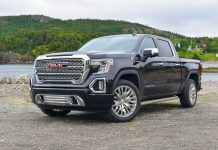 The campground offers free Wi-Fi and campers get complimentary access to the water park (including the water slides) and the on-site Mini-Golf course.